Jack Britton was born 22 Oct 1914 in DeFuniak Springs, FL. He enlisted on January 3rd, 1941 at Norfolk, VA. He received an Honorable Discharge on Jan 14th, 1947 at the US, Naval Receiving Station Naval Base, Phila., PA. 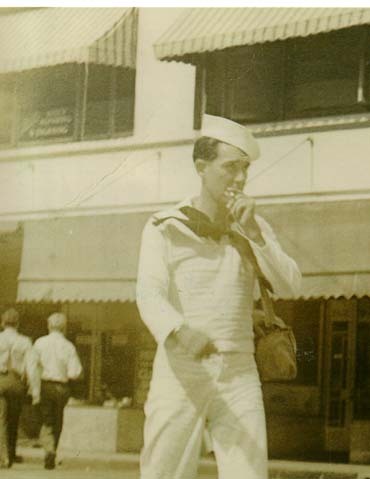 He was on the USS West Virginia 7 Dec 1941 at Pearl Harbor, but escaped uninjured. He also served on the USS Minneapolis. He lived with his wife Grace Leona in Panama City, FL until his death in Dec 1973.